If you’re interested in learning more about Jeremy Willer Construction homes for sale then you’ve come to the right place. Jeremy Willer Construction adds quality of workmanship and integrity to every home they build. Like Lenox Homes, Jeremy Willer Construction is a local Bakersfield new construction home builder. Built on family values, Jeremy Willer Construction keeps it’s core value of building quality homes close to their hearts. Founded by Jeremy Willer in 2012, this family owned business is proud to be located in Bakersfield, from Bakersfield and builds homes for the Bakersfield people. Built on a solid reputation with a proven track record, buying a Bakersfield home-built by Jeremy Willer Construction is always be a safe bet. 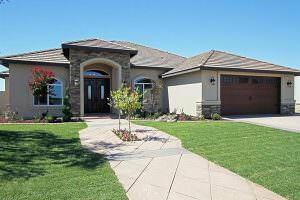 Jeremy and his highly qualified team of builders have successfully built hundreds of semi-custom homes in Bakersfield. Jeremy Willer Construction serves all types of clients from small boutique neighborhoods to larch acreage ranch style homes. Jeremy is currently building and developing several neighborhoods. One of the many benefits of buying a Jeremy Willer Construction home is the high-end upgrades they include that many other builders charge buyers for. Juliana’s Garden – This subdivision will offer semi-custom homes that include many upgrades other home builders charge extra for. Hills of Barcelona – Located behind City in the Hills, this semi-custom development offers views of the sierra mountains that will surely attract the most discerning of buyers. Like Juliana’s Garden, Hills of Barcelona will also include many upgrades at no additional charge. Blackhawk – Here’s another Jeremy Willer semi-custom neighborhood. Interested in buying a home in northwest Bakersfield? This subdivision might be just what you’re looking for. Located in the highly desired Rosedale Union School District, a home in this development will be not only a great place to raise a family but also desirable for others when it comes time to sell. If you’d like more information on Jeremy Willer Construction homes for sale, please feel free to contact us anytime. We’d appreciate the opportunity to assist you with finding the home of your dreams and securing your home purchase.